We’ve all heard of the phrase, ‘shop till you drop,’ but Taste of Dubai Festival brings you an opportunity to eat till you drop. This impressive event brings together 30 of Dubai’s most reputed chiefs and restaurants, ensuring the event’s inclusion in one of the most celebrated events of Dubai. It isn’t just the food that has attracted over 20,000 visitors (out of which many are celebrities), but the variety of drinks available at the event is another feather in its cap. This is a perfect place for foodies to be at – specially if they like to try different cuisines and dishes. Taste of Dubai Festival was organized almost 6 years ago with an aim to introduce the residents of Dubai and tourists to different tastes of delectable culinary cuisine. With time many new features have been added and now it has gone from being a mere taste festival to an event that ensures complete entertainment for its visitors with live music and different competitions. 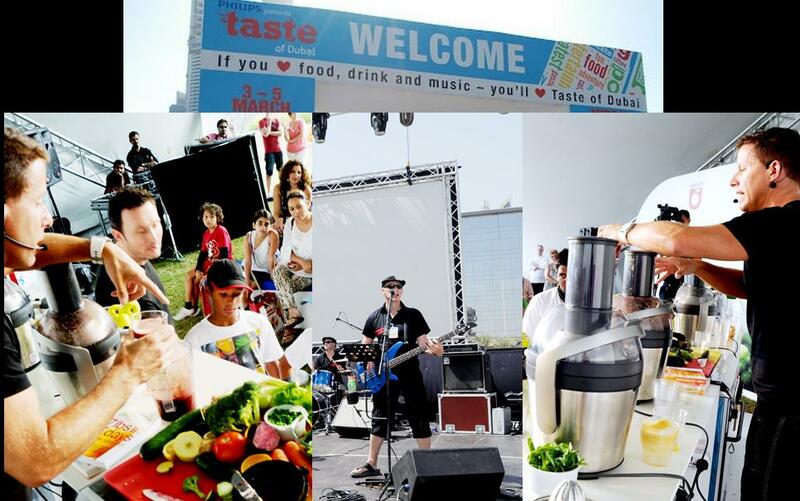 - If you love food, then consider the Taste of Dubai Festival your dream. Watch your food getting cooked right in front of your eyes as the refreshing aromas of different spices stimulate your senses. - Various drinks are served/prepared to quench your thirst and give visitors a night to remember. - Looking to learn a new dish from one of the city’s top chiefs? Taste of Dubai Festival will provide you that chance and you can get cooking classes from all the master chiefs of the town. These include Q/A sessions, quizzes, demos etc. - There’s nothing better than practical application of what you’ve learnt. You will also get a chance to prepare different dishes among competitors, while expert chiefs of different restaurants guide you on each step. - Nothing complements a treat to the tummy like a treat to the ears; delicious food complemented by eargasmic music. This is why the festival always has a line-up of the city’s best talent in terms of live music. - Beverage theatre is a place in the festival that will not only increase your knowledge about different beverages through interactive learning processes but also allow you to taste many of them. - If you book them in advance, the ticket prices are AED 60. - If you buy them at the entrance, the price is AED 80. The VIP ticket costs AED 220 if booked in advance and AED 280 if bought at the gate. VIP tickets allow you fast entry, letting you avoid the hassle of standing in long queues. It also gives you access to the VIP enclosure, 2 drinks free of cost at the VIP bar, 3 dishes from any of the participating restaurants – free of cost and a chance to win money through the lucky draw. Children under 12 years can enter for free. It is usually a 2-day event. The dates can vary each year. The dates for 2014 were 13 - 15 March. If you run a successful restaurant in the city and wish to book a stall at the next festival that takes place, you can do so by calling or sending the management an email. This can be a great marketing opportunity for your business. There are different contact details for different queries. From the sales representatives to the marketing and restaurant liaison officer, the contact details vary. Please click here to get all of their info. Dubai Media City Amphitheatre, behind the CNN building, near Al Sufouh Road in Dubai Media City. Since there is no metro station closeby, you can get dropped t Al Thuraya Tower, which is only 180 m away from Dubai Media City Amphitheatre and a walk of 2 minutes. After you get off bus number 88, just head southwest and exit at the roundabout. You’ll spot Dubai Media City in front of you. View Map.